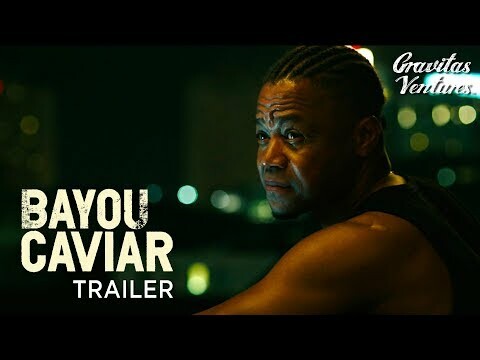 "Bayou Caviar" is about Rodney, a former boxing champ who, after a deathbed visit to his trainer and mentor, is propelled into reclaiming victory for his now simple life as a nightclub bouncer. He partners with Nic a no-nonsense lesbian photographer and an aspiring starlet to make a compromising tape with Isaac, a married devout Orthodox Jewish real estate mogul, that sets off a chain of events that brings down an empire. Bayou Caviar was released on Cinema and VOD 198d ago in the US. Notify me when Bayou Caviar is available.